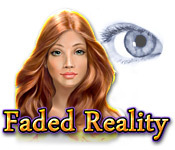 Faded Reality is rated 3.1 out of 5 by 24. Rated 5 out of 5 by GrammaCookie from Great Game!! I really enjoyed playing this game---the HOS, the puzzles, everything! It was so refreshing to have the game combos woven into the main HOS; just enough to keep you moving. Rated 5 out of 5 by denniann2 from a really good game i like this game. you are a person who has cornea implants and are seeing out of your eyes as if you are the donor. the graphics are good, but the items are small in some of the HO scenes and hard to see due to the size. most of the scenes are light, not the dark and dreary we are used to. the mini games are not too hard. most of them are of a solitaire variation. the others involve lighting up the scene. the hints and skips charge fast. i played casual. no sound. Rated 5 out of 5 by outhousse from faded reality nice relaxing game just to play when ever. only thing i didnt care much for was some of the scenes were a bit dark. but apart from that i liked it very much and i keep going back to it from time to time to try and finish it. Rated 5 out of 5 by quiltgal from kept my attention not sure when this came out, but it really is a fun game. Puzzles aren't to hard, ho's can be very small, love the word game mixed in. Finding the letters can be a chore, but once you get the hang of it it smooths out. If you like word games, and ho games, then this is one for you. Rated 5 out of 5 by mspaws from liked finding words This game had a new twist were you find letters to ho's. Very fun. Kept my attention. Nice graphics. Will be a game I will play again and again. Rated 5 out of 5 by MeEnMuHos from A clever new slant and clever approach to HO games I enjoyed this one immensely. A pleasant and relaxing change from the macabre and gruesome of so many HO games. It wasn't difficult but entertainingly challenging. It is one of the few HO games that I have played over and over again simply because it was pleasant and relaxing. 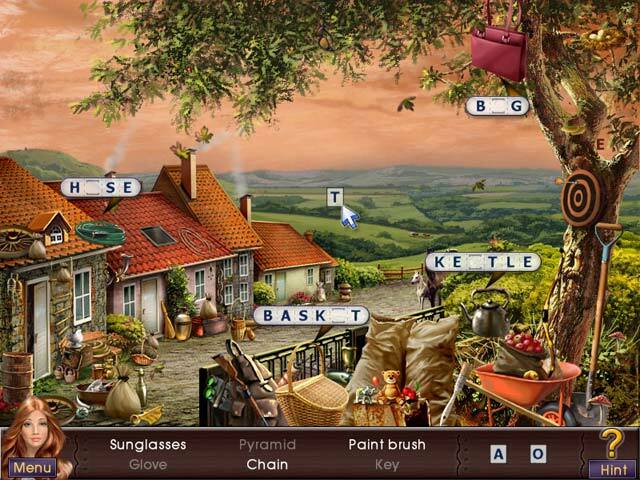 Rated 4 out of 5 by Bellelady from Okay Hidden Object Game The game was overall okay. It is slightly different from the usual HO's story which I liked. The hint factor was awesome because if you got stuck, all you had to do was wait for it to regenerate instead of trying to find them. Graphics were okay. I could have done without the mini games because they were repetitive like all the other HO's out there. Rated 4 out of 5 by rosekaufmann from FINALLY A DIFFERENT TYPE OF STORY Over 4 hours on casual. Unusual story: a cornea transplant patient sees the world through her donor’s eyes. Unfortunately, the donor had been following a murderer’s trail. The patient is compelled to follow her donor’s trail, but people seem to disappear wherever she goes. HOS are nicely done, with 2 scenes at each location. 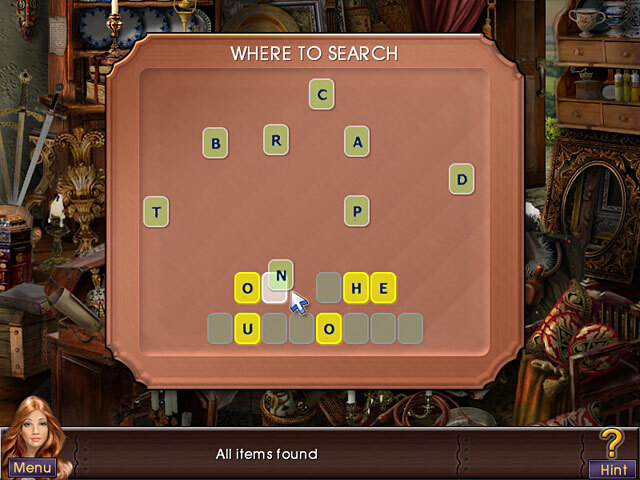 Besides the object list, there are hidden letters in the scenes (sometimes you have to hunt for them) which are used to complete the spelling of more objects which are hidden from her sight. 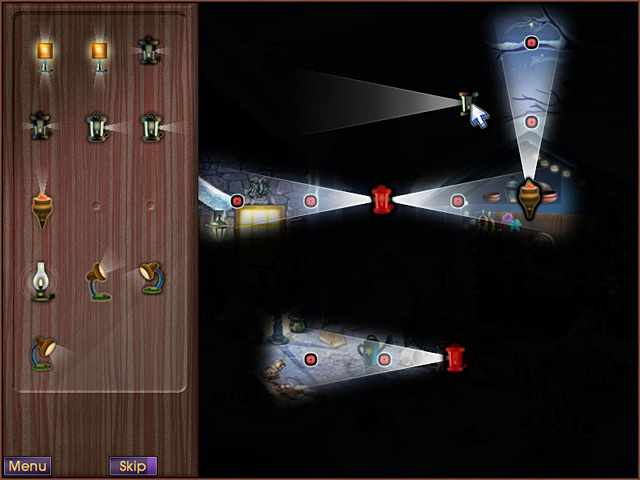 Puzzles are not difficult, except the lighting puzzle (arrange lanterns with various lighting patterns until an entire painting if lighted). Very well put together and enjoyable to play. Ending was interesting – a cross between a satisfactory conclusion and an unsettling feeling for the patient.